You're not gonna throw away your shot. Prep your audition for "Hamilton" in D.C. The Washington Auto Show is back with a huge lineup of events, activities and guests. Drivers can test out an electric car or watch Jaguar Land Rovers and Jeeps take on obstacle courses. Families can enjoy a pet adoption center or meet costumed characters at the kids' zone. Tickets are $12 for adults, $5 for kids 6-12 and free for children under 5. There is a $7 discount for students on Friday and a $4 discount if you show your current student ID throughout the show. Active and veteran military members, metro riders and seniors can also get discounts. 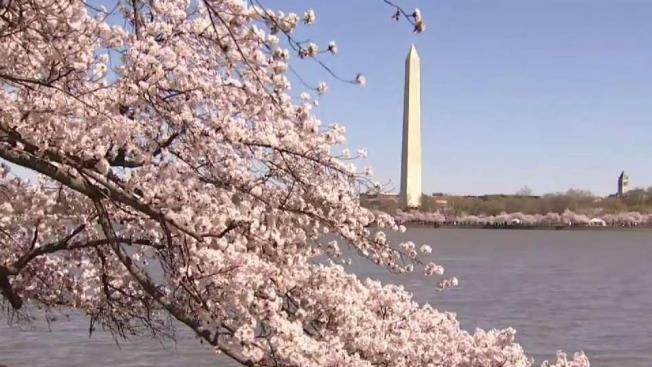 You still have a chance to catch the cherry blossoms in peak bloom this weekend. Here's everything you need to know about the Cherry Blossom Festival and how to spend a whole day in blooms. Slurp down ramen and floral-themed drinks. The D.C. hot spot has hosted various other themed bars in the past, featuring Game of Thrones, Royal Wedding and Christmas themes. The larger-than-life main exhibit allows you to interact with a swirling cherry blossom cloud, while other rooms feature live plants that respond to your touch and augmented reality stories. Adult tickets start at $15. Popular plant shop Little Leaf is hosting a pop-up store this weekend at the U.S. Botanic Gardens. Until Sunday, passerby can purchase soy candles, printed artwork and, of course, plants. Top chefs are coming to show off tomorrow's most exciting restaurant dishes, alongside cocktails. General admission ($75) and VIP tickets ($135) are available for the two sessions, starting at noon and 3 p.m.
Make sure you register in advance for this popular book talk.